Andrew McConaghie looks at how one region of England is helping to bridge the gap between life sciences innovation and the NHS. If you are a start-up company in the field of life sciences or healthcare technology, how do you persuade the NHS to buy your product? Trying to get a funding decision from the UK’s National Health Service can be a headache for multinational pharma and medical device companies, let alone small-medium enterprises, who usually have one or two innovative products, but little experience of dealing with NHS decision-making. 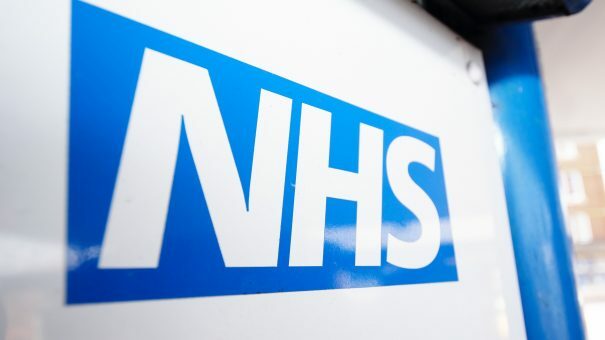 Despite the hurdles, the NHS represents a huge potential market: it spends £20 billion on goods and services every year, and is seen as a leading global healthcare customer: if you can sell your product to the NHS, other international health systems will follow. The UK government is trying to help firms with valuable innovative products get a ‘yes’ from the NHS, with efforts being made at a national and local level. The South East has one of the biggest concentrations of life sciences and healthcare tech firms in the country, and a new service offering ‘innovation surgeries’ is helping locally-based companies stress-test their product and business offerings. David Parry is chief executive of the South East Health Technologies Alliance (SEHTA), one of the country’s biggest health technology networking organisations. It provides advice and support for companies working in fields such as telecare, diagnostics, medical devices and pharmaceuticals. 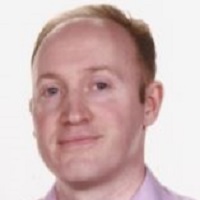 Parry works closely with Rob Berry, head of innovation at the Kent Surrey Sussex Academic Health Science Network (KSS AHSN) to offer the service to companies trying to break into the NHS. David Parry and Rob Berry first launched the innovation surgeries earlier this year, and are now hosting sessions several times a year around their region. This is meeting the demand from a wide range of companies with products on, or near to, the market. Parry has experience in running his own life sciences company, and a decade of helping small tech firms to grow, while Berry has spent most of his career in the NHS. They believe that by helping to bridge the gap between these innovative companies and the NHS, both the UK economy and the health service can benefit. But there are some serious hurdles to overcome – not just the financial and bureaucratic barriers in the NHS – but in the naivety and lack of customer-focused thinking from some companies. The main challenge is that the NHS wants to see products and services that offer savings within 12 months of introduction, says Parry. So a company developing a diagnostic which could reduce emergency admissions would be welcomed by the NHS, but a company must first pin down when and how those savings will be made. Unfortunately, if a product is paid for by one part of the system, but savings are made elsewhere in the system, there is little incentive for the payer to invest in the technology. While there are hopes that the NHS can remove this ‘silo budgeting’ and similar barriers in the future, companies have their work cut out. Combine this with the fact that the NHS is going through an unprecedented financial squeeze and the picture looks bleak for introducing innovative products. The duo have seen around 40 companies in their first surgeries – these enterprises spanned a huge range, from a couple of large pharma companies to a plethora of small start-up firms offering a range of products and services across medical devices, digital sensors and medicines management software. England’s cost effectiveness watchdog NICE has been reviewing medical devices as well as pharmaceuticals for several years now, but even firms already armed with NICE approval have sought help from Parry and Berry, having found that even this seal of approval can’t guarantee uptake in the ‘real world’ of the NHS. While the NHS is often not receptive to new ideas, companies can have poorly-worked-out business propositions, and only vague ideas of who their customers are within the health service. “We need to dispel the illusion that you can knock on the door and everybody flocks to buy your product – believe me, there is that illusion,” says Parry. In the 60-minute surgeries, the firms undergo a grilling aimed at stress-testing the products. This often revolves around firms defining exactly who their customer within the NHS may be – Clinical Commissioning Groups (CCGs) buy goods and services for primary care, who have very different need to the other big purchasers, the big hospital acute trusts. Rob Berry adds: “Our role is to help proven innovation to spread wider and more quickly. Through exploration and challenge of their ‘value proposition’, we are able to help companies understand some critical issues to address in their approach to working with the NHS. He says successful innovation is much more than simply technologies delivering desirable outcomes. One small-medium company, PolyPhotonix, has already benefited from the help of the KSS AHSN. The firm has developed the Noctura 400 Sleep Mask which prevents and treats diabetic retinopathy, a common cause of sight loss in people with diabetes. The mask is a non-invasive light therapy used by the patient at home. The firm says it can improve patients’ quality of life, slow sight deterioration, and overall offers better care at lower cost. Based in North East England, PolyPhotonix is now being helped to build its route to market and generate evidence to demonstrate value for money, affordability, and clinical efficacy. Chief executive Richard Kirk says independent analysis suggest the device could save the NHS up to £1 billion – but further proof is needed. The AHSN brought together healthcare commissioners and providers in North West Surrey to explore collaboration with PolyPhotonix. They have now agreed how best to collect value-for-money evidence ahead of a submission to NICE’s medical technologies evaluation programme (MTEP) to secure a ‘case for adoption’ endorsement. This includes a phase III multi-centre trial based in hospitals across the South East. There is now no shortage of initiatives to help bridge this gap between innovative firms and the NHS – but these system-wide challenges won’t be solved overnight. England’s 15 regional AHSNs seem to be helping, giving companies a far clearer route into the NHS, and saving them having to approach each of the country’s 600 acute trusts individually. Meanwhile, a new national strategy, called the Accelerated Access Review (AAR) is underway, and aims to create a much more clearly defined ‘lit runway’ for innovation across the life sciences. While this ambitious plan has the backing of Life Sciences minister George Freeman, there is considerable scepticism about its chances of transforming the UK market – especially in the light of the NHS’ massive challenge of saving £22 billion over the next five years. Most significantly, the recent Carter Review said £1 billion could be saved annually by the NHS through eliminating wasteful and inefficient procurement practices. While potentially being bad news for some suppliers, the report also identifies opportunities for savvy companies to step in with money-saving, clinically innovative products; something which takes a great product, sound understanding of NHS customer needs – and a vast supply of persistence and determination. Finally, the AAR is expected to recommend that NHS budget planning to be extended beyond the one-year horizon, currently one of the major barriers to longer-term thinking in the health service. If this change is introduced, it could allow far greater investment in innovation – which should then be monitored to see it pays off for patient care. 15 October 2015 in Sandwich.